The John Gaffney Memorial has become one of the most prestigious 40×20 events in Ireland in just its sixth year, as the handball-crazed nation meets every January in Ballaghaderreen for the first GAA Ireland Official Senior Player Rankings event in 2015. Top seeded Diarmiad Nash cruised to his fifth consecutive GAA Ireland Official Senior ranking event final without dropping a game, including a 21-16, 21-9 victory over his good friend and former USHA national open finalist Martin Mulkerrins. Killian Carroll aimed to win his third consecutive GAA Ireland Official Senior ranking event, but would need to overcome his greatest rival, WPH R48 III Player’s Champion Robbie McCarthy. Carroll dropped a heartbreaking 21-19 tiebreaker to “The Buzzsaw” at the 2014 All Ireland Championships, but stunned McCarthy by fighting off match points and a 6-10 tiebreaker deficit at the 2014 Irish Nationals to win 11-10. Carroll was able to defeat the reigning All Ireland champion in two straight in the Gaffney semifinals, albeit in a titanic struggle, 21-16, 21-20. Nash and Carroll met for the third consecutive time in the finals of a GAA Ireland Official Senior ranking event, with Carroll winning the previous two. Nash appeared to have the answer for the white-hot Cork man in the Gaffney final, dominating game one, 21-8. Nash built a seemingly comfortable 15-9 lead in game two and stood just six points from the title, but Carroll proved that no lead is safe against one of the fittest men in the sport. Carroll earned his 17th point to tie the game with one of the best rallies in recent memory, and proceeded to score four of the next five points to force a decider, 21-18. Carroll’s fitness was the difference in the tiebreaker, as Nash appeared to cramp in the beginning of the final frame. 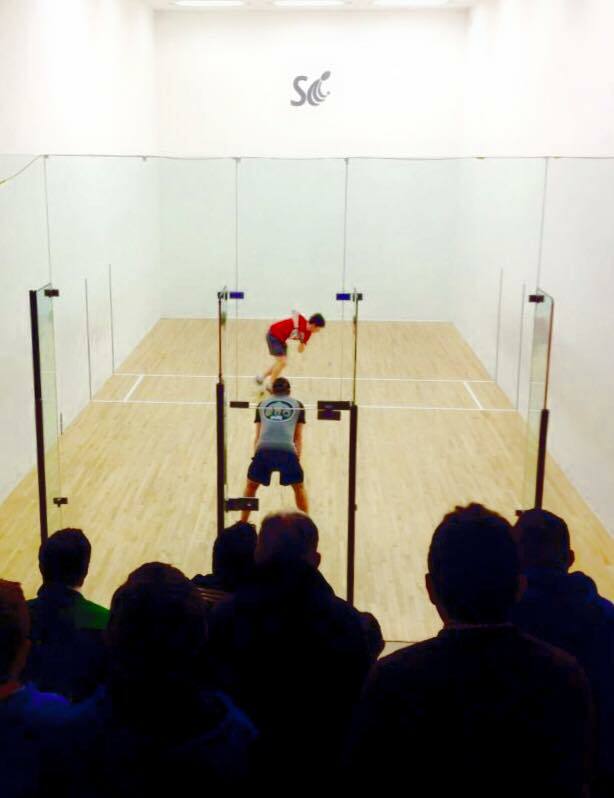 Carroll claimed his third consecutive GAA Ireland Official Senior ranking event, 8-21, 21-18, 11-4. Thank you to GAA Handball Facebook for the updates. Photo courtesy of GAA Handball Facebook.